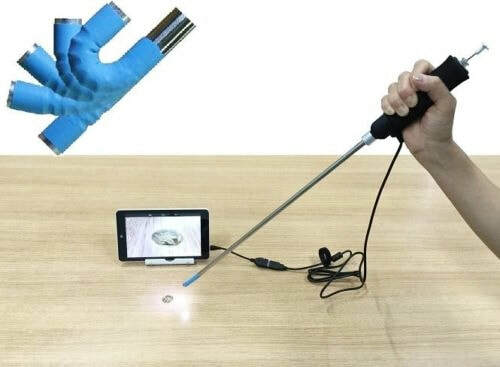 Vividia Ablescopes and Tablet Bundles: Our Tablets are pre-loaded with APP and can be connected to Ablescopes through OTG cable. No worry about compatibility. Vividia Ablescopes and B2 WiFi AirBox Bundles: With VA-B2 WiFi Box and free APP, one can use iOS devices (iPads, iPhone, iPod) and/or Android devices.